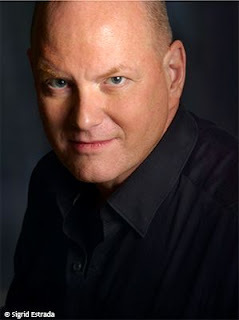 Please welcome Mark Tompkins to The Qwillery as part of the 2016 Debut Author Challenge Interviews. The Last Days of Magic was published by Viking on March 1st. Mark: Writing has always been a compulsion; however, in school, I was told that creative writing would be very difficult for me due to my dyslexia. Once unfettered from academic restraint, I ventured into poetry, which felt approachable because it struck me as bad grammar raised to an art form. Photography was another creative outlet, as was writing nonfiction. However, writing a novel was always out there as the ultimate goal, yet out of reach. I took some workshops and even slogged through a two-year course on grammar for adult dyslexics. Eventually, it came down to either abandoning my dream or sitting down and writing my novel. Mark: I am a hybrid. The first thing I did was create an outline, which made it feel safe for me to write; however, I was careful not to become attached to it. When my characters charged off in unexpected directions, I let them and updated the synopsis, which happened every few chapters. That first outline was diagramed on a giant piece of white paper, but the final story does not look much like it (much to the novel’s benefit). Mark: Editing. It was always hard to know when a paragraph, or a chapter, was truly finished. I became a great believer in working with professional editors. Before the manuscript was sent out I had it edited, then my agent and publisher both worked it over again. I was very lucky to have a hands-on team as the manuscript was finalized. Mark: I am a voracious reader and there are a number of great authors that I count as influences. On on the fantasy side are C.S. Lewis, J.R.R. Tolkien, Neal Gaiman and Lev Grossman. As for historical novels, I would say Geraldine Brooks and Ken Follett. TQ: You are a poet and a photographer. How do these affect or not you prose writing? Mark: Poetry forced me to become an efferent and lyrical storyteller. 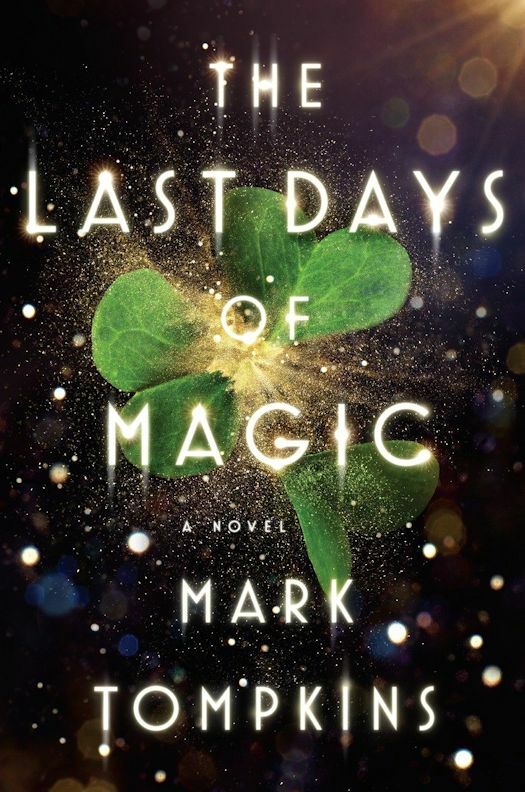 The Last Days of Magic has been described as an epic, yet it is less than four hundred pages. Photography refined my vision, which was great help in vividly rendering the various locations used in the novel. An epic novel of Celts, faeries, mad kings, druids, and a goddess struggling to reign over magic’s last outpost on Earth – medieval Ireland. TQ: Please tell us something about The Last Days of Magic that is not found in the book description. Mark: There are elements of the novel the reader may think that I made-up, but are actually existing lore or even considered history. The novel contains numerous Easter eggs, if the reader is interested in hunting for them. TQ: What inspired you to write The Last Days of Magic? Mark: Faerie is in my blood, or Ireland is, which is the same thing. My ancestors are from the counties of Clare and Meath, so when I resolved to write a novel about magic it had to be set in the Emerald Isle. I discovered a character who insisted that I write about her, one who was inspired by the Celtic legend of Red Mary. This led me to base the book on the premise that all the old legends, myths, and faerie tales were true and the magical beings in them co-existed with humans during medieval times. In those fables, faeries were depicted as powerful, dangerous, and tall – they could not procreate with humans if they were the size of dragonflies! TQ: What sort of research did you do for The Last Days of Magic? Mark: One of the great things about setting the book in Ireland, England, Italy, and France is that it gave me the perfect excuse to spend a lot of time there. Being on location helped me capture the atmosphere and the nuances of those incredible places. Hanging out with pagan groups in Ireland was also a lot of fun. While there I visited museums, historic sites, and talked with with historians. I also sought out eclectic used bookshops to rummage through for books on mythology, faeries, exorcism, and the like. My bookshelves became so crammed with tomes on witchcraft and demonology that a friend once quipped that he expected to arrive one day and find a crater shrouded in green mist where my house used to be! Mark: The hardest was Aisling. In service to the story arc, she has to be emotionally and psychologically challenged. I had to rework those scenes numerous times to make them convincing without being heavy-handed or trite. The easiest was the deranged imp, a demon familiar. Perhaps I was mining some previously unrecognized vein of darkness in my spirit, but for whatever reason his character flowed naturally onto the page. TQ: Why have you chosen to include or not chosen to include social issues in The Last Days of Magic? Mark: When writing a novel that has any historical grounding, I believe it has to address the prevalent social issues of the day. Otherwise the novel loses authenticity and power. In the case of The Last Days of Magic, one of the main issues is the suppression of women’s rights. This was a time when women who dared to become educated, or powerful, or in any way change the church’s male oriented dogma were branded as witches. Other issues include slavery and the control and limiting of literacy. TQ: Which question about The Last Days of Magic do you wish someone would ask? Ask it and answer it! Ask: What was your favorite part of writing the novel? Answer: Much to my surprise my favorite bit about The Last Days of Magic was writing the villains. Characters who at least tried to be honorable felt more constrained by the story arc, whereas the antiheroes freely wrought havoc across the page. I always looked forward to a new one making an appearance. They ran amuck, stayed longer than I had planned, and generally did as they pleased. Their voices were strong and vibrant. I never really knew what they were going to say until I put ink to page (I am old fashioned in my writing tools). And they lent themselves to being killed, or otherwise subdued, in such exotic ways. TQ: Please give us one or two of your favorite non-spoilery quotes from The Last Days of Magic. 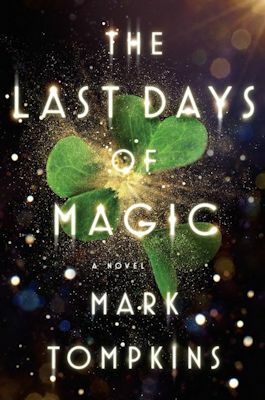 Mark: As I prefer novels not to leave me hanging, I resolved all of the major plot lines of The Last Days of Magic. That said, I am busy expanding the magical/historical hybrid world into additional countries, each with their own mythos. When I learned that European witch hunters were paid per witch, it was a discipline I had to investigate. A witch hunter character has emerged and she is determined to go up against some of the survivors of the first book, so I will have to let her out to play. Mark: Thanks for inviting me. It has been fun! 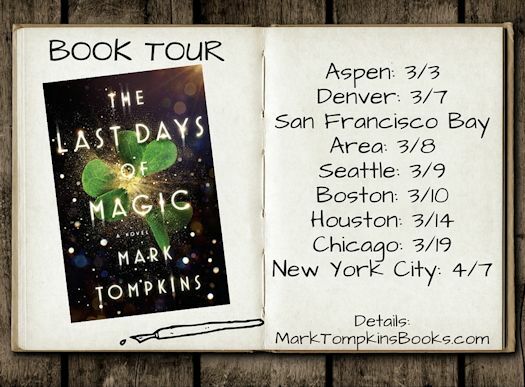 The Last days of Magic, published by Viking, is Mark Tompkins’s debut novel. He founded the Aspen Writers' Network and serves on the board of Aspen Words, a program of the Aspen Institute. He is a published poet and international award-winning photographer whose work is held in the permanent collections of museums in the United States and abroad. Born in Texas of Irish ancestry, Tompkins divides his time between Aspen, Boston, and Houston.